Bob Moore Chrysler Dodge Jeep RAM of OKC is a great dealership in Oklahoma City to check out the 2019 Jeep Grand Cherokee. At our Oklahoma City car dealership, you can find a number of great Chrysler, Dodge, Jeep and RAM vehicles. Bob Moore Chrysler Dodge Jeep RAM of OKC is committed to making sure your car-shopping experience is as enjoyable as possible, regardless of whether you want a used car, Certified Pre-Owned model or a new vehicle. Stop by today and find out why Bob Moore Chrysler Dodge Jeep RAM of OKC is one of the premier dealerships in the area. The exterior of the 2019 Jeep Grand Cherokee is not only extremely stylish, but it includes a great deal of useful features that Oklahoma City, OK drivers are certain to enjoy. Its 17-inch silver aluminum wheels are part of this, adding to the commanding style of the mid-size SUV. The 2019 Jeep Grand Cherokee also comes with all-season tires as an available feature on the Laredo E trim so you can drive safely on the road without worrying about your tires holding up in bad weather. Its heated mirrors are another great feature as well since they provide you with an excellent amount of visibility in cold or foggy conditions. Low beam daytime running headlamps also improve the exterior capability of the 2019 Jeep Grand Cherokee. This feature adds to the already great visibility so you can see the road clearly. The 2019 Jeep Grand Cherokee also includes plenty of standard features on its interior that make it such a great vehicle for Oklahoma City, OK drivers. The 2019 Jeep Grand Cherokee gives Oklahoma City, OK drivers and their passengers plenty of comfort in its interior. This is especially true on the Jeep Grand Cherokee Limited trim. This trim has standard features like leather-trimmed bucket seats, 60/40 split rear folding seats and a 6-way power passenger seat. The 8-way power driver’s seat is another standard feature that make the 2019 Jeep Grand Cherokee so comfortable to drive. 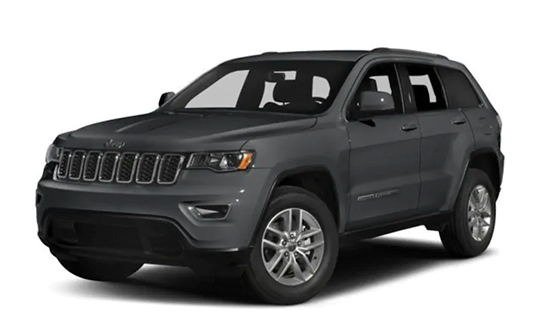 While the 2019 Grand Cherokee is sophisticated and stylish, it also includes a high level of road capability just like the 2018 Jeep Grand Cherokee, as well. The 2019 Grand Cherokee is also a high-performance vehicle in addition to its other great features. It runs on a standard 3.6L V6 gas that works with a rear-wheel drive system and a 8-speed automatic transmission system. This muscular powertrain delivers 295 horsepower and 260 lb-ft of torque. The 2019 Grand Cherokee provides solid fuel economy, as well. The 2019 Jeep Grand Cherokee performs at peak performance without costing you at the pump. Its V6 engine achieves EPA-estimated fuel economy ratings of 19 MPG in the city and 26 MPG on the highway. Oklahoma City, OK drivers can experience the performance and fuel economy of this vehicle by taking it for a test drive at Bob Moore Chrysler Dodge Jeep RAM of OKC. The 2019 Jeep Grand Cherokee also offers innovative technology to improve your experience. Edmond, OK drivers will definitely love the innovative technology that is part of the 2019 Jeep Grand Cherokee. Android Auto™ and Apple CarPlay™ compatibility are standard features that make up its great infotainment system. Its audio system uses Bluetooth® hands-free technologies so you are sure to get fantastic audio quality every time you listen to your music. Meanwhile, its standard voice command system lets you easily access your favorite features, such as music, hands-free calling and more. 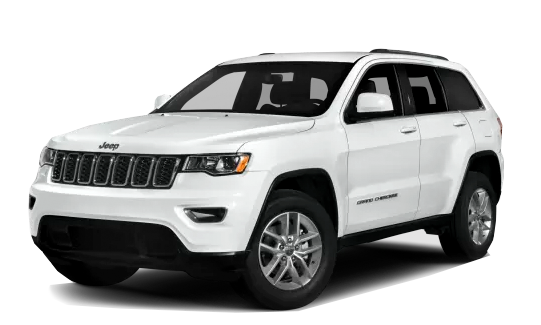 Bob Moore Chrysler Jeep Dodge RAM of OKC is a good place to go if you are interested in the 2019 Jeep Grand Cherokee. If you want to check out the 2019 Jeep Grand Cherokee, come into Bob Moore Chrysler Dodge Jeep RAM of OKC. We have a great team of sales staff that is eager to help you find a great new Chrysler, Dodge, Jeep or RAM vehicle like the 2019 Jeep Grand Cherokee or the 2017 Jeep Grand Cherokee. They can tell you everything you need to know about the 2019 Jeep Grand Cherokee. They can also show you any other vehicles that might interest you, like the Jeep Grand Cherokee Trackhawk or the Jeep Grand Cherokee Laredo. We also take great pride in our service department. Our service team is part of what sets us apart. Our service experts can quickly make any repairs to your Chrysler, Dodge, Jeep or RAM vehicle. They can do routine maintenance, as well. No matter your service question, they will answer it correctly and with a smile. If you’re looking for authentic Chrysler, Dodge, Jeep or RAM parts to use for your own projects, they can help you out with that, too. Visit our website and check out our online inventory to find out more information and see which vehicle interests you the most. You can also feel free to get more information by calling us at 405-720-4176. Once you have all the information you need, stop by and see us at 7420 Northwest Expressway, Oklahoma City, OK 73132. We are eager to show you how coming into a dealership like ours is a surefire way to enjoy a great car shopping experience.